‘Back To the Future’ Style Auto-Lacing Shoes are Here, Finally! Well, Michael J. Fox made them popular in 1980s, even though they were pure science fiction. If you are ‘Back to the Future’ fan, you must be knowing what I’m talking about. Yes, someone has finally built McFly’s auto-lacing shoes. Interestingly, as we’re closer to 2015 when McFly arrives in the future, a company is set to launch the first shoes with auto-lacing capabilities. 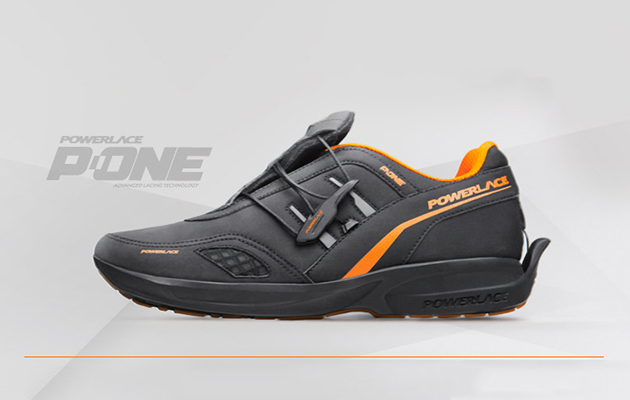 The shoes named as Powerlace P-One doesn’t look similar to the sneakers in the movie, however, they certainly get the job done. The company has launched a Kickstarter campaign to launch its first auto-lacing shoes and they are looking to raise some $577,000 to make the project a reality. A pair of Powerlace P-One costs around $155 under the early bird deal and its market price will go to $170 when it will be released. With 56 days left to reach its goal, the team has already raised over $19,500 and should start shipping the shoes in May 2015 if the funding is successful. The Powerlace shoes have a simple mechanism for auto-lacing that doesn’t involve any voice commands, complex chips, apps, batteries or motors.